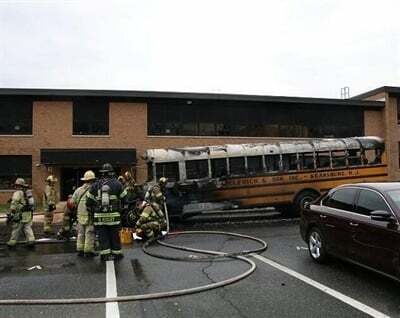 MIDDLETOWN, N.J. — A fire broke out on a school bus outside of a high school here on Thursday morning. Officials from Middletown Township Fire Department reportedly responded to the fire at Middletown High School at around 7:15 a.m., according to a tweet from the Township of Middletown. 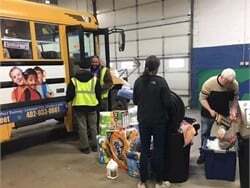 William O. George III, the superintendent for Middletown Public Schools, said in a statement that the school bus caught fire after it had arrived at the high school, and students were evacuated from the bus before the smoke progressed to a fire. George added in the statement that students inside the school were evacuated to the rear of the building for a short period of time while the fire was extinguished. No one was hurt. Dennis Fowler, a spokesman for Middletown Township Fire Department, told Ashbury Park Press that firefighters had the fire under control by 7:40 a.m. and had cleared the scene by 9:40 a.m. George said in the statement that the school building's air quality was tested by a registered environmental health specialist and deemed safe for occupancy after the fire, and that the fire appears to have been caused by a mechanical issue in the bus. The fire reportedly starts in the engine compartment of the Poland Local Schools bus. No one is on the bus when it catches fire. 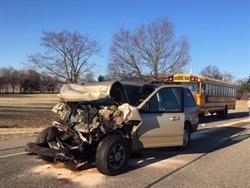 A school bus is carrying 20 students from Union-North United School Corp. when a motorist crashes into the rear end of the bus. Four students on board and the motorist suffer minor injuries. 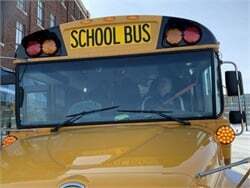 The driver with Archbold Area Schools tells two students who were exiting the bus to run as a semi truck appears to not be stopping as it approaches the bus. 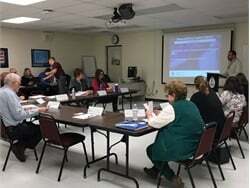 The South Bend Community School Corp. will install 192 stop-arm cameras on its buses. 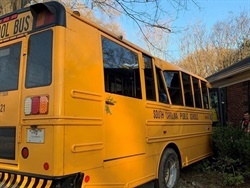 The South Carolina driver loses control of the bus, which runs off the side of the road, overcorrects, and the bus spins around before hitting the tree and stopping against the house. The 8-year-old girl is sitting on the edge of the roadway when a pickup truck makes a sharp turn, hits her, and then continues driving. She is taken to the hospital where she later dies as a result of her injuries. 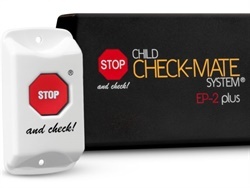 Indiana lawmakers cut a provision to let schools buy stop-arm cameras with a share of the fines from illegal passers and change a provision that would have made a license suspension mandatory. The acquisition will expand and strengthen the bus seating and fire suppression supplier’s safety solution options for commercial transportation markets. 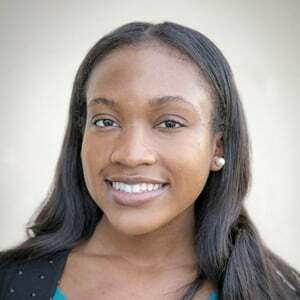 The Georgia bus driver finds a Ruger .38 caliber pistol in the student's backpack and holds onto the student's belongings until authorities arrive at the scene. 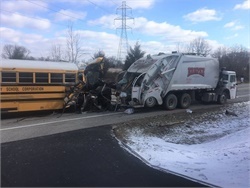 The bus driver was driving too fast and experienced a glare from the sun before the collision, according to the crash report. Twenty-one people were injured. After a school bus driver in Italy allegedly hijacks a bus and demands students’ phones, the boy manages to hide and call a parent, who alerts authorities. Passengers suffer minor injuries. 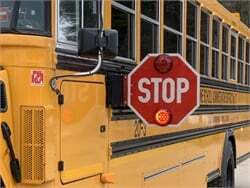 The New York student is getting on the bus when a vehicle drives around the passenger side of the bus and hits her, causing her to land on the hood of the vehicle. Lyle Silbernagle of Minnesota spots the boy alone at a street corner wearing only a diaper. 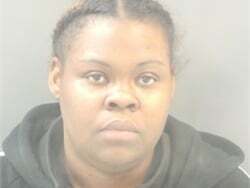 He wraps the boy in his coat, brings him into the van and turns on the heat, and calls police. 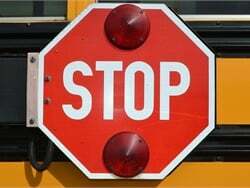 Legislators have been considering multiple school bus safety bills over the last couple months, and are calling for revisions to those that address stop-arm violations with different tactics.